It’s sad watching a feral cat struggle to remain warm in a particular corner of the house. Several days ago I noticed a feral cat in my compound; she was so cold that she was trembling and all covered with snow. Since it’s not possible to keep such a cat inside my home, we thought of a way to save the poor cats life and the best way was to make a heated outdoor cat house. It was my first time, but my husband has some carpentry knowledge, and so he had some ideas on how to make a heated outdoor cat house. 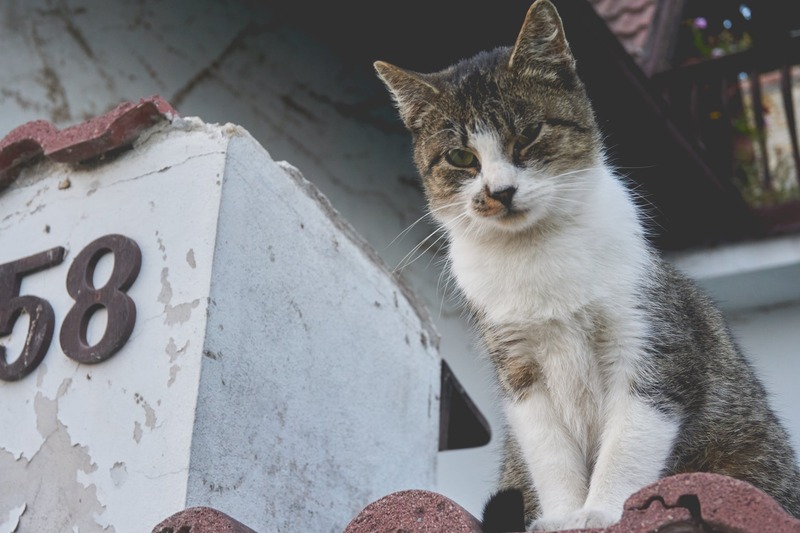 An outdoor cat shelter can save a cat’s life this winter. The shelter is very easy to construct from scrap lumber or a plastic storage container. With just a little carpentry experience, you can easily do it. A cat will enjoy a heated cat house for winter as he sleeps inside during the day or night. The blog seeks to offer a step by step guide on how to make a heated outdoor cat house to make sure that the cat does not even realize that we have winter. A cat’s body heat can warm up a tiny space. For this reason, we did not make a big cat house; it was small to make sure that the cat keeps it warm enough. The shelter was 26 ft tall and measured 26×32 widths. If you find a larger container, you can easily divide it with plywood. We then mounted a piece of carpet in the container with about 3 to 8 screws to make sure that the doorway is completely closed. We then cut 3 long slits up the middle of the carpet to make it easier for the cat to exit. A removable roof is helpful since it allows you to easily remove dirty beddings and check on your cat once in a while. You can attach the roof to the boxes’ walls with a hinge. In our case, we were using a plastic storage box, and so we used the lid as the roof. Once we were done, we weighed the roof with rocks and other heavy objects. We wanted to be sure that winter wind and rain will not fall to the poor cat. The shelter needs to be built in case you experience snowdrifts or floods in the area that you live. 18 inches was enough for us. Cats like shelters with two entrances to help them escape from predators using the other door. We cut two 6×6 doorways on two different sides. Since we were using plastic, we covered the sharp edges with duct tape. We cut the doorways with a ledge in front to enable the cat to jump up as he goes out we made sure that the exit did not have ledge below to keep predators away from the cat. For added warmth, we had to put glue canvas drop on the interior for every doorway. Since our cat house was made of plastic, it was already water-proof. All we did was to make sure that there were no open spaces that could pass in the raindrops. However, if you decide to make a cut house out of wood or lumber, you need to sand and paint it to protect it from the rain. For maximum protection against the rain and excellent insulation, cover the roof with quality roofing material. During winter, cold can quickly get to the cat. Plastic is not warm at all, and so this step was so crucial. We lined each wall by putting glue on a 2.5cm gap at the top to install thick foam insulation board which we got from a store. We also put a thick and warm carpet on the floor to make sure that our stray cat sleeps so well. If you live in an area with severe winter, you need to use Mylar since it reflects a cat’s body heat. You can also put Mylar on the floor as you cut the foam with a utility knife. To make the shelter more comfortable, you need a rope light. Start with the cord end string and string the rope around the cat house interior side of the lid. Mount the rope to the bases with the use of zip ties. The rope light will not only add to the heat but also make cats stay comfortable. We put in plenty the idea was to help the cat burrow in for added warmth of straw making sure that we did not block the doorways. In case you do not have straw, pillowcases that are loosely stuffed can do the trick. We built a cat house that accommodates food, but even though water can fit inside, we opt to leave the water outside to avoid spillage. We make sure that the water dish is just close. Since the weather temperatures are shallow due to winter, we use an eclectically heated water dish. The dish is expensive and so if you cannot afford, get a thick plastic dish or ceramic and surround it with Styrofoam. After we were done making the cat house, we then invited the feral cat with a small amount of catnip. We placed it inside, and the cat came right inside. I could see how happy and comfortable the cat was and I was proud of what we did.